Are you trying to figure out where to take your date around Boston? Here are a handful of places I recommend based on what your date may like to eat and drink. Aug 5 We Made Dumplings at Mei Mei! 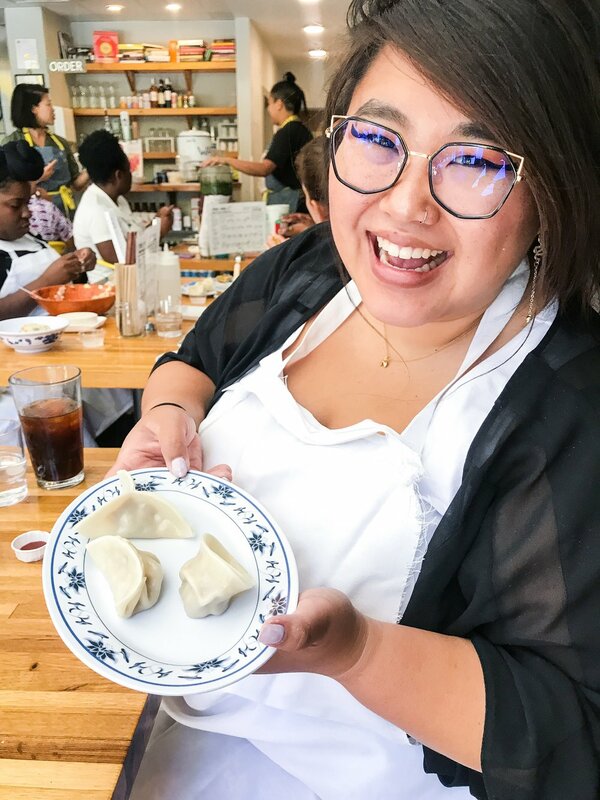 The sisters of Mei Mei Restaurant, Irene and Mei, host a delicious and hands-on dumpling making class within their restaurant. Chef Derrick Teh, formly of PAGU in Cambridge, popped-up in Chef Chris Chung's Momi Nonmi for a delectable six-course Malaysian meal. A collaboration with Barcelona Wine Bar in Brookline, MA to dive into the various tapas, wine selections, and not to mention the delicious churros. The first Thai Rolled Ice Cream location opened up within Boston proper in Allston, and I made a point to check it out opening week!